Eat your way through Europe and stay on budget too! In the Europe of yesteryear, travelers would navigate their trips following the Michelin Guide: a guide to highlighting the best cuisine a country could offer. The guide, which still exists today, is filled with high-end restaurants ranked anywhere from 1 to 3 stars. By following the guide, a traveler avoid even a single bad meal while abroad. However, today's vagabond may want a good meal that doesn't cost hundreds of euros. The Michelin Guide won't tell you this, but you can easily have a great meal in Europe for under €10, no matter where you go. Yes, Paris is the land of patisserie, but no trip to Paris is complete until you pay visit to L'as Du Falafel. Their sandwich is a perfect food with double layers of hummus, crispy eggplant, Israeli salad, and freshly fried falafel, all topped with a tahini sauce. You can choose to add spicy sauce (you should) and then find a curb to sit on. Don't make the mistake of trying to eat it while walking. This sandwich requires a fork and you won't want to lose one bite. The Bonci family has the best carbs in all of Italy. With two locations near Vatican City, you can enjoy the Bonci Family's pizza at Pizzarium, where you can get traditional Roman pizza al taglio, or at their original location, Pancifico Bonci, which serves pizza, freshly baked breads, and warm, roasted Porchetta. 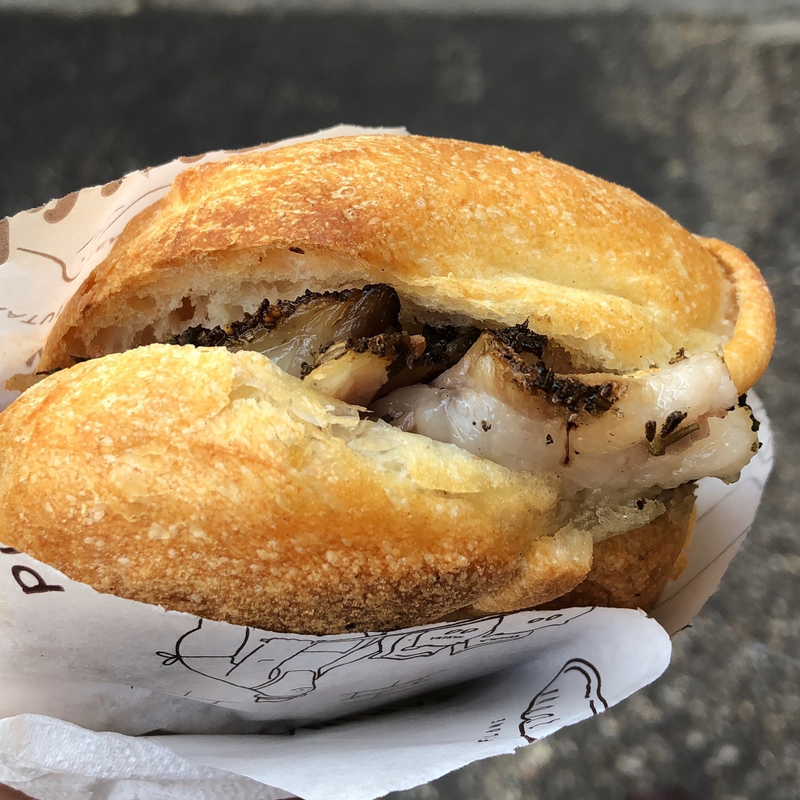 For only €4, they slice up the porchetta fresh and serve it on toasted Ciabatta, giving you what may just be the cheapest most delicious thing you'll eat all trip. And it's portable: eat it while walking over to Pizzarium for a second lunch. Fish and chips may be the obvious answer here, but London offers some of the best global culinary fare. At Borough Market, you'll find a variety of stalls to taste your way through what London can offer. At Khanom Krok, a husband and wife serve authentic Thai street food, and their pad thai is outstanding. There's no seating, but you can enjoy your meal as you wander through the stalls of fresh produce. French fries may be the ultimate cheap food in any country, but they've been perfected in Belgium. Hand-cut fries are often paired with traditional dips, like mayo and curry sauce. However, higher-end (but still cheap) vendors will add meat, cheese, and other delectable toppings. Served in a paper cone, Pommes Frites are perfect on the go, so there's no need to slow down while exploring the city. Famous La Boqueria market in Barcelona cannot be missed if you're traveling through the city. A meal can be made by visiting not just one vendor but many. Fresh-squeezed juices with the freshest seasonal fruit are available to pair with the Spanish bar snack pintxos, fresh slices of bread stacked with savory meats, cheeses, or seafood. With the market open early, you could eat every meal there, tasting all the flavors of Spain on a budget. Making a meal out of pretzels is easy in Germany, especially when you can pop into bakeries and buy them for less than €1. German pretzels are technically a Southern Bavarian speciality, but many of the traditional bakeries now have outputs in Berlin. The ultimate way to eat under €10 euro in Berlin is to go from bakery to bakery to find the best pretzel that 80c can buy. Locals swear by either Alpenstück Bächerei or Hofpfisterei, but you'll need to do a pretzel crawl to see for yourself.